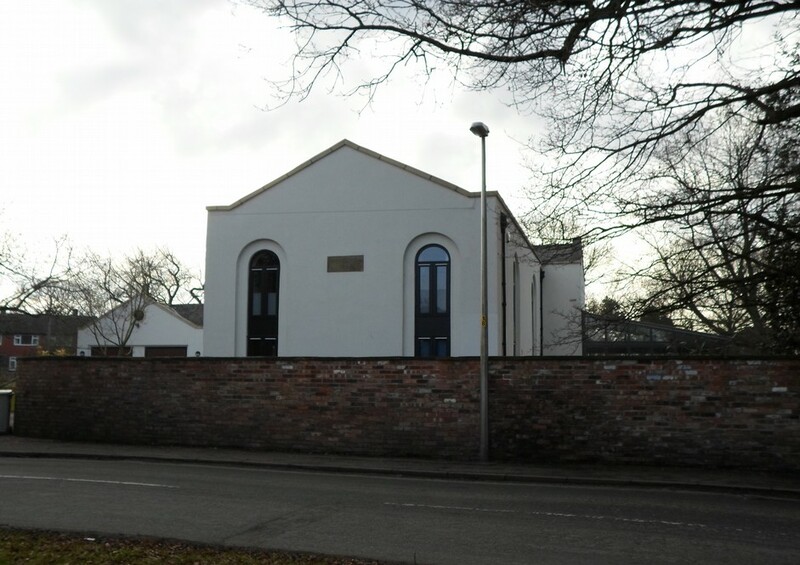 Just over the road from the Baptist Chapel, lies the former Wesleyan Chapel and School, now a private house. Before there was any Methodist Chapel in the parish, the Wesleyans used to hold meetings in the open air and at supporters houses, such as Joseph Whittaker’s house at Vale Bank, now Warford Hall, and also at Lindow End. In 1843, a very small chapel was built in the same area, but got dry rot and was taken down. The present chapel was built in 1862 by Masseys builders of Alderley Edge. 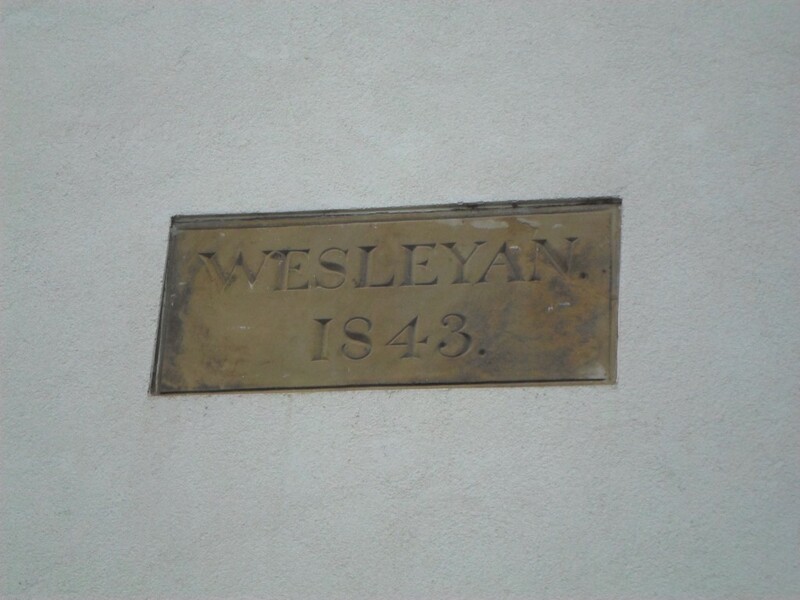 The original date stone was found lying in the grounds and was added to the chapel in 1946 by Alan Dale. In Alan Dale’s memoirs he remembers during the Wesleyan revival of the early 1900’s, attending services in the barn at Heath Gate Farm, singing hymns and prayers and also in the Wheelwrights Sheds belonging to the Jennings family. 1898 – Trustees agree to allow the free use of the School Room and School Premises to the managers for the purpose of a Day School. The teacher is a Miss Smith, employed at a salary of £70 a year. Prizes to be given to children who make an attendance of not less than 95%. Education Department report presented which was satisfactory. Miss Smith to be congratulated and given a pay rise to £75 per annum. 1899 – An assistant teacher, Miss Reade to be engaged at £20 per year. An arrangement to be made to afford the children the benefit of an Object lesson by a visit to Belle Vue Gardens. It would appear it was difficult to retain staff for this reason, despite pay rises being offered! September 1899 – Letter from Clara Edwards. December 1899 – Miss Edwards to see Miss Reade and offer her £5 per annum more on the conditions she stays the whole year. Letter from Miss Reade at Swan Bank agreeing to stay on for £30 per annum. January 1902 – Miss Edwards having been interviewed with regard to her resignation, it was arranged that the same to be withdrawn and that she would continue as mistress at an advanced salary of £10 p.a. Miss Vessey appointed as School Mistress. 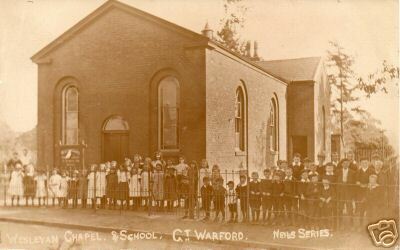 1903 – Crowding on school premises, no more children to be admitted at present. Sum of ten pounds be paid to the Trustees for the continued use of the American Organ in the hope this would be adequate. Trustees to ask County Council Education Committee increase Miss Vessey’s salary to £90 per annum. Water to be connected to the School. A case of Diphtheria amongst the pupils leads to the school being closed from 5th – 20th Oct.
Cicely Richardson and Emily Watson, two monitors to have 5d each for assisting Miss Vessey when they have no assistant mistress. Resolved to pay Assistant Mistress travelling expenses from Caernarfon, railway fare 8s 8d. Nov 1904 – That the funds in the hands of the managers be used to address matters mentioned by the Sanitary Inspector. Correspondence with Director of Education with reference to reduction of Miss Davies salary from a sum which had been agreed with managers. Chairman to point out injustice of enforcing reduction, to ask her salary to be restored, and resignation withdrawn. Extreme difficulty experienced by the Managers in obtaining suitable teachers on account of the situation of the school, its inconvenience in many ways..
April 1905 – resolved that a petition be drawn up in reference for not closing the day school.